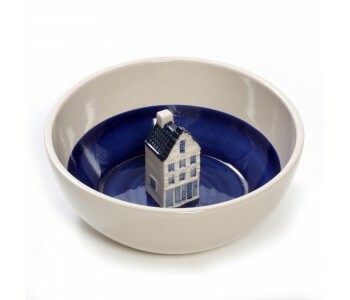 The bowl has a unique design thanks to this miniature canal house that is engraved in the middle of the bowl. 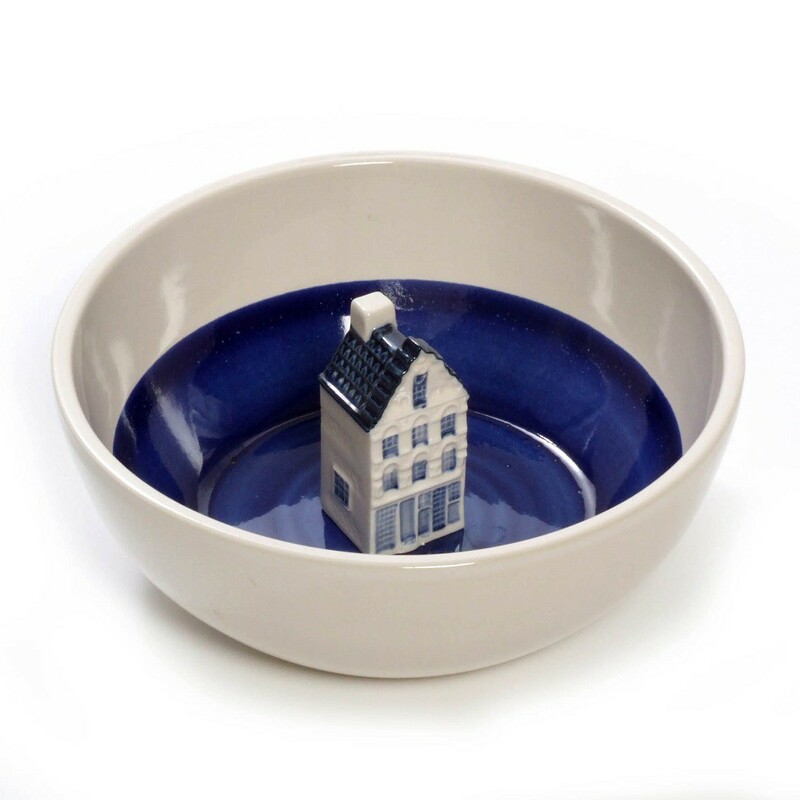 These iconic Delft Blue miniature figure are inspired on buildings in Amsterdam. 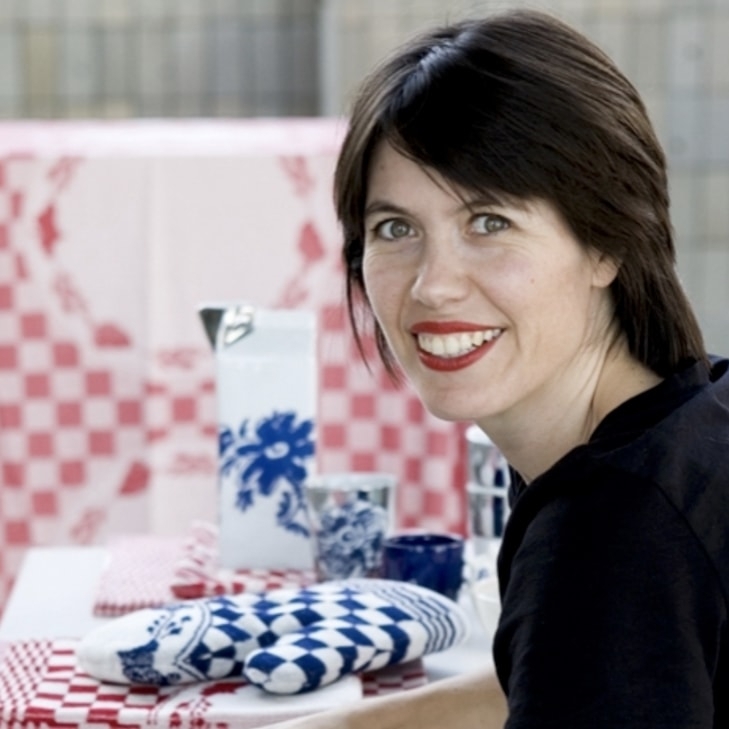 Everyone knows the iconic canal houses (grachtenpanden) in Amsterdam, or the Dutch mills. This bowl has miniature figures that are engraved in the bowl, based on these famous Dutch Icons.